The Dakota Territory was the divorce capitol of the west up until 1899. This was due to the fact that this area was believed to be a place where people could go to start a new life and the legislation echoed this belief. 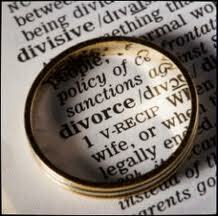 The first legislation gave immediate access to divorces in 1866, but was later lengthened to three months in 1877. With the railroad running through Fargo it was easy for couples to establish residency by staying in hotels or at least registering at a hotel and paying for three months. The train would stop at noon in Fargo for ten minutes and people could check into a hotel and then leave. This became known as the “Ten Minute Divorce”. When North and South Dakota became states in 1889 they inherited the divorce laws. In 1893 South Dakota increased its residency requirements. In 1899, Bishop John Shanley headed the reform on this legislation making the residency requirements one year.